Anyone looking to sell pkgs for WSOP hit me up! Willing to buy big chunks/all action if you are willing to bring down markup a bit. Just like last year I am planning to invest a significant amount in this year’s WSOP. A lot of players would attest to you that I am fair and uncomplicated to do business with. One of the advantages of dealing with me is that you probably won’t have to deal with multiple investors. Also you will be able to shoot HHs at me, we can talk strategy and so on. I am looking for established live and/or online players. Rettenmaier’s deal sounds especially good since he’s also willing to talk strategy with those he’s staking. As a two-time WPT champion, Rettenmaier is one of the best tournament pros to learn from. Of course, Sylvia wouldn’t be a bad guy to learn from either if he’s also willing to discuss strategy with his horses. 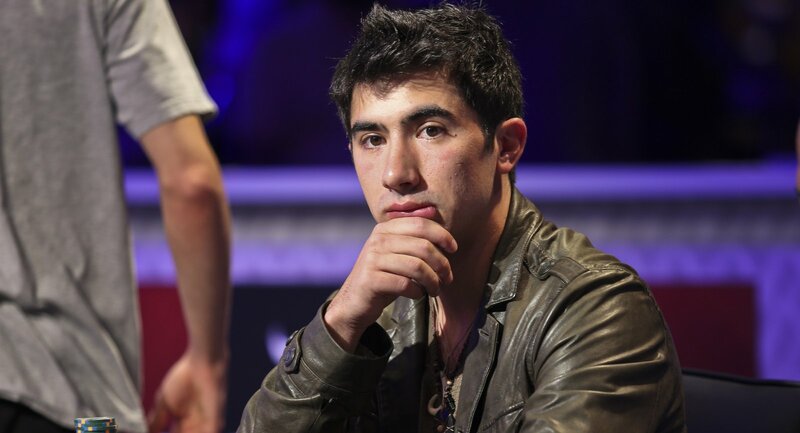 After finishing second in the 2012 WSOP Main Event, he earned a $5.3 million fortune. We can only hope that Sylvia and Rettenmaier fare better in their staking endeavors than Daniel Negreanu. A couple of years ago, Negreanu put $2 million on various players in the WSOP, only to lose $1 million. He later said that some of his players didn’t seem to be taking the tournaments as seriously as they should have. Compare this to Shane Sigsbee, who’s become one of the most successful backers in the business. He backs 80 players and has only had one losing month in the last two years. That said, Sigsbee should be a very prominent staking figure at the 2014 WSOP.